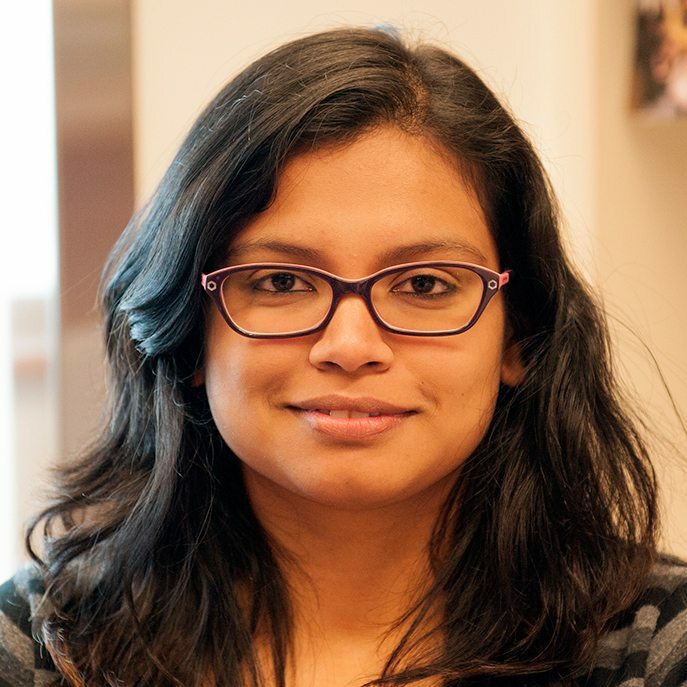 Alisha is a PhD candidate at the Dr. John Lewis lab at the University of Alberta. She began her research project in 2013 and is currently focusing on the EGFL7 (Epidermal Growth Factor-like domain 7) protein and its effect on angiogenesis. EGFL7 is an angiogenic factor that is secreted by and almost exclusively works on endothelial cells. EGFL7 expression is highly elevated in tumours, including kidney tumours, malignant gliomas, hepatocellular carcinomas, and colon cancers. High levels of egfl7 are associated with markers of metastasis and poor prognosis. One of her goals is to map out the mechanism of action for EGFL7. She also plans to study the effect of modulating the mechanism of EGFL7 to study its effect on tumour growth in vitro and in vivo. Another of her goals is to biocharacterize the EGFL7 protein by defining its native structure, redox state and conformation. Alisha grew up in Mumbai, India and graduated from high school there before moving to Preston, UK to start university. She completed her B.Sc and M.Sc degrees in the Department of Biomedical Science and Pharmacy at the University of Central Lancashire in England, UK. Her M.Sc was research-based and her project focused on using Nanoemulsion formulations as drug-delivery vehicles for brain tumour therapy. She is currently the Graduate Student’s representative for the Department of Oncology at the University of Alberta.